Insulated Hot Combo Includes 52 Drink-Through Lids And 52 Paper Cups Designed To Hold 12 Oz. Of Hot Beverages. Duo Shield-Insulated, Paper Hot Cups Offers A Comfortable Hand-Hold Feel Without The Need For A Sleeve. Air Pocket Insulation Delivers Perfect Hand-Hold Temperature So No More Sleeve Or Double Cupping. Matte Finish Offers Better Gripping. Upscale Tuscan Design Is Neutral But Modern.. Insulated Hot Combo Includes 52 Drink-Through Lids And 52 Paper Cups Designed To Hold 12 Oz. Of Hot Beverages. 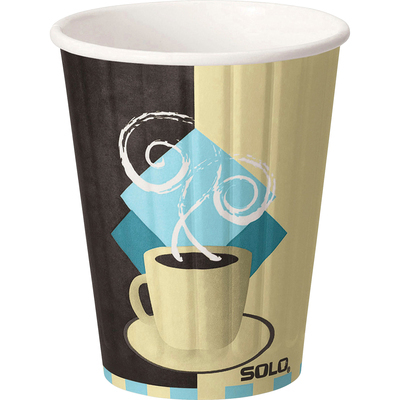 Duo Shield-Insulated, Paper Hot Cups Offers A Comfortable Hand-Hold Feel Without The Need For A Sleeve. Air Pocket Insulation Delivers Perfect Hand-Hold Temperature So No More Sleeve Or Double Cupping. Matte Finish Offers Better Gripping. Upscale Tuscan Design Is Neutral But Modern.